The new, dredged Eastern Channel connects the Inner Fairway with the Solent. This allows small vessels, up to 20m in length, approaching from or departing to the north or east to use the Eastern Channel and avoid the busy main harbour entrance and therefore de-conflicting with the larger commercial vessels. •	Small vessels, up to 20m in length, approaching from or departing to the north or east may use the Eastern Channel. •	The dredged depth in the Eastern Channel is 2.25 metres below chart datum; therefore the minimum depth of water in the channel is equal to the height of tide + 2.25m. •	Tide gauges are on the Shrape Beacon and 4A Beacon (see Figure 1). 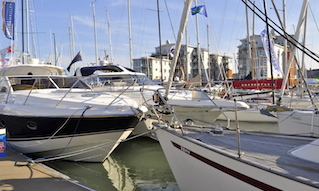 •	The channel is, at its narrowest, 35m wide. 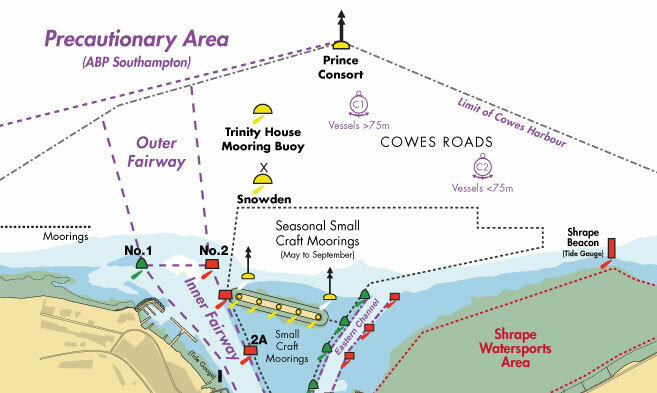 •	Vessels using the Eastern Channel are to adhere to the harbour speed limit of 6kts through the water and no wash.
•	Vessels joining or leaving the Eastern Channel are advised to give way to all vessels navigating in the Inner Fairway. 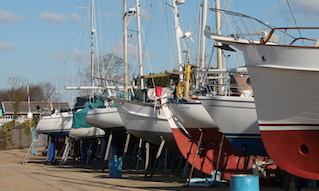 •	Mariners must ensure that Rule 9 of the Collision Regulations is complied with. 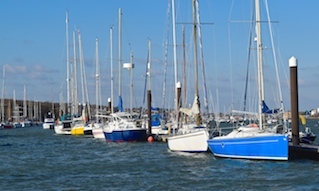 Particular care should be taken to avoid impeding commercial vessels in the Inner Fairway, this includes passenger ferries (Red Jets) turning off Cowes Town Quay and large vehicle and freight ferries approaching and departing from East Cowes Red Funnel Terminal. •	A north-westerly current, of up to 1.5kts during spring tides, may be experienced from HW +3hrs to HW +5hrs, west of the Shrape Breakwater. Caution should be exercised so as to not be set into the path of other vessels using the Eastern Channel or vessels navigating in the Inner Fairway. 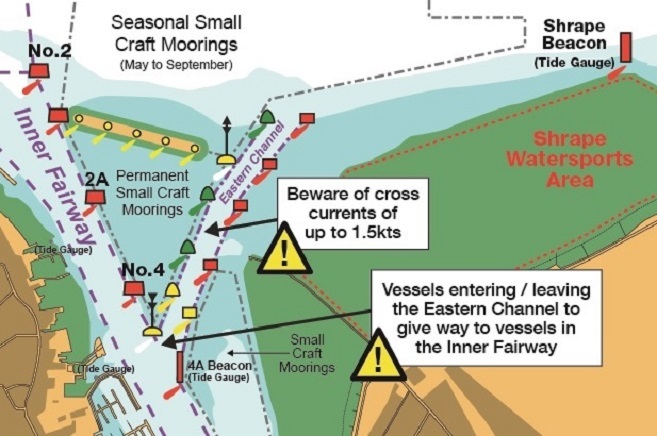 •	Care should be taken to adhere to the buoyed channel and not to enter the ‘small craft moorings’ (see Figure 1), these are prohibited areas. •	The area to the east of the Shrape breakwater has been designated a watersports area and craft not using the area should ensure they remain well clear.